New state data confirms Boston is the hub of ridesharing. More than half of all rideshare trips in Massachusetts originated here in 2017. In August 2016, Gov. 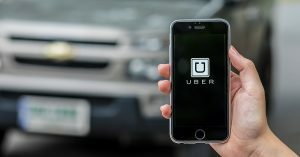 Charlie Baker signed legislation regulating rideshare vehicles in Massachusetts, creating important protections for consumers. Among the reforms, drivers now have to carry a minimum level of auto insurance to protect passengers who are injured. They must also pass criminal background checks. Now the state has released ridership data from 2017, the first full year of the regulations. The data provides a glimpse at rideshare’s mark on Massachusetts and particularly the city of Boston, where Uber and Lyft vehicles seem always in sight and rideshare accidents are rising. Massachusetts residents took approximately 64.8 million rideshare trips in 2017, compared to 408 million rides on public transportation, according to the data. Based on feedback from the transportation network companies, the state estimates one-third of rideshare trips carried multiple passengers. The majority of rideshare trips originated in Boston: 34.9 million. About 1.8 million Boston rideshare trips began at Logan International Airport. According to a Boston Globe analysis, there were roughly 96,000 Uber and Lyft vehicles on Boston streets each day of 2017! More than 6.8 million trips started in Cambridge, the second leading city for rideshare starts. This is a dramatic difference for neighboring Boston and Cambridge. Somerville, Brookline and Newton rounded out the top five communities for rideshare starts. Rideshare may be more convenient than public transportation. But rides can be slow. The slowest rides began in Boston, Cambridge, Somerville, Everett and Brookline, according to the state data. The average rideshare speed was 14 to 16 miles per hour in these communities, compared to 30 mph or above in about half of Massachusetts communities. Per person, Suffolk and Middlesex counties saw 80 percent of all rideshare starts in Massachusetts, followed by Nantucket, off the Cape and Islands. Beyond these counties, a few notable numbers came from Worcester, where 848,000 rideshare trips originated and Lowell, where 490,000 rides began. More than 378,000 trips originated in Springfield. When traveling by rideshare, stay alert and watch, even if you have a 5-star rated driver. While many rideshare drivers are well trained and simply want to help you reach your destination, car accidents can happen. Rideshare drivers, and others on the road, can be fatigued or engage in texting while driving. Whenever possible, travel with other passengers you know. If you feel unsafe at anytime, ask the driver to pull over and let you out in a safe area. In Massachusetts, Uber and Lyft drivers are required to carry a minimum level of auto insurance. If you have been injured while traveling in a rideshare vehicle, the driver has a responsibility to stop and provide you with his license number, auto insurance carrier, address and contact information. If you have been injured, call for an ambulance or visit a hospital emergency room immediately. Then call an experienced attorney. Visit our Uber accident web page or our Lyft accident web page for more information. At Breakstone, White & Gluck, our Boston car accident lawyers have over 100 years combined experience representing those injured by negligence and wrongdoing. We are conveniently located at 2 Center Plaza, Suite 530, across the street from Boston City Hall and the Government Center MBTA station. If you have been injured, contact our firm and learn your rights for seeking compensation. Call 800-379-1244 or 617-723-7676 or use our contact form. Attorney Reza Breakstone of Breakstone, White & Gluck in Boston. A self-driving Uber vehicle has been involved in a fatal pedestrian crash in Arizona. 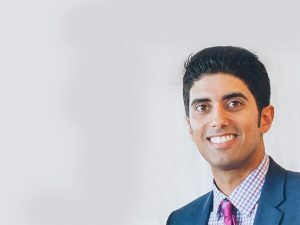 Attorney Reza Breakstone’s article explores liability when self-driving cars crash: https://tinyurl.com/y8qrfs69.